Does your family enjoy leftovers? We love leftovers because at our house we give leftovers new life. We love to make new things out of leftovers. Here are a few excerpts from some previous posts that show how leftovers can become new. Meal 1 We made a large London broil. It turned out fabulous. We ate our fill for dinner along with some side salads. Meal 3 Fajitas. Grilled meat with spicy peppers and onions wrapped up in a warm tortilla, what could be better than that. My husband loves homemade pudding. Whenever we cook rice he wants to be sure that we have leftovers so that we can make rice pudding. He makes sure to remind me that we need to cook enough to make pudding. He has been known to request rice for dinner just so we can have rice pudding afterwards. Whenever we cook ground beef we always cook a little extra to make Mexican "pizza" for lunch the next day. These are so quick and easy. They are great for lunch or snack time. Spread the tortilla with a small amount of sour cream and salsa as the "Pizza sauce"
We have topped these with ground beef, shredded chicken, onions, mushrooms, olives, green chilies, bell peppers, tomato just to name a few things. slice into "pizza wedges" and serve. Meal 1. Steak dinner. We had a really nice steak dinner with some friends. I seasoned up the steaks and grilled them outside. I cooked more steak than we really needed. It made it look and feel like we had an abundance of food, and everyone was able to have their fill. I have an abundance of good things in life, and I want others to feel of that. We were able to sit out back and enjoy the nice weather at the picnic table that my husband built out of scrap wood. It was enjoyable. Meal 3. Beef noodle soup. The leftover stroganoff noodles became the base for a nice lunch of beef noodle soup. My kids love my soups. Soups are so easy to make with many kinds of leftovers. My son is learning to cook with me. He likes to create soups. We talk about what would go good together. He will ask "should we put this in?" we will look at it, smell it, sometimes taste it; then decide if the item will go in the soup. It is a fun learning experience with him. We create soups quite often, my children love them and they are a frugal way to feed a family. You can take a few items and stretch them to fill hungry tummies. My biggest problem is that when I make soup I serve it hot. The kids hate waiting for soup to cool. We have started putting frozen vegetables in the kids soup to cool it down. They love it! My kids now think that every bowl of soup should have an extra serving of vegetables added from the freezer. This is how we do and who we are. It is something that we have found that works for us. I hope this sparks some new ideas for you and your family! Leave a comment below about what your family does and what your favorite leftover meal is. It's always a great idea to use leftovers to make other delicious. I really like some of your ideas especially the 3 Meals with Steak is great. Thanks for sharing on Real Food Fridays. Wonderful tips for stretching our food dollars. 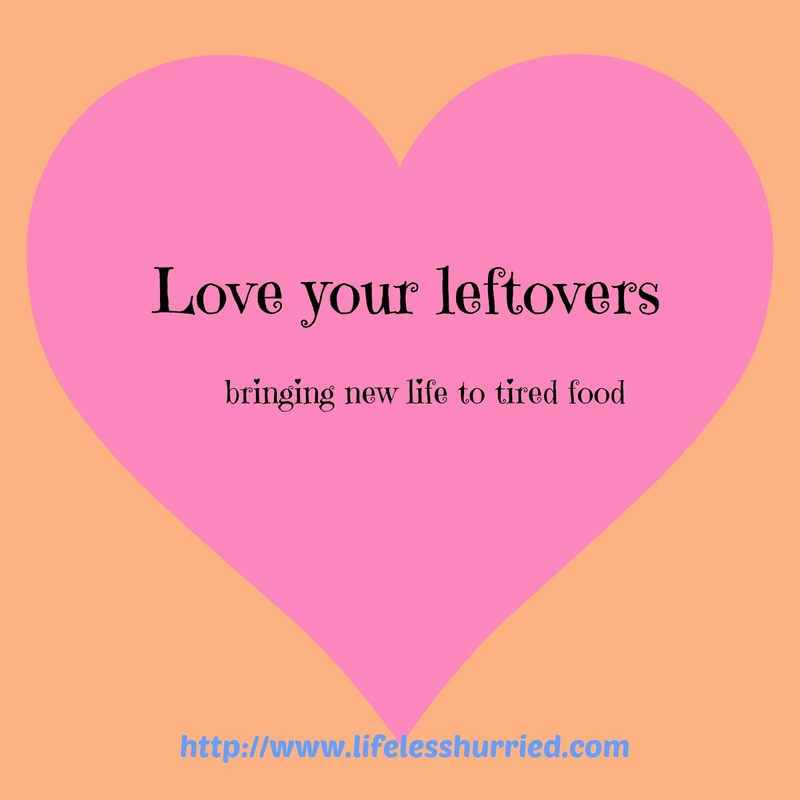 I love leftovers, but my hubby isn't crazy about them. I try to make them over, and will be using some of your suggestions! Thank you for sharing at the HomeAcre Hop; I hope you'll join us again this Thursday. We love to dress up our leftovers and you have some great ideas! Hope you are having a great week and thanks so much for sharing with Full Plate Thursday. Hubby and I love leftovers too! I often cook a little extra chicken or steak just so I can use it for fajita's. In the winter extra hamburger becomes taco soup or chili and leftover chicken or turkey makes fabulous soup. Especially with homemade noodles. Thanks for sharing your creative left over ideas with Share Your Cup.